This is a beautiful 48 foot Fountaine Pajot, Belize Platinum Edition Catamaran with a HUGE cockpit and deck space for 2 – 14 guests. 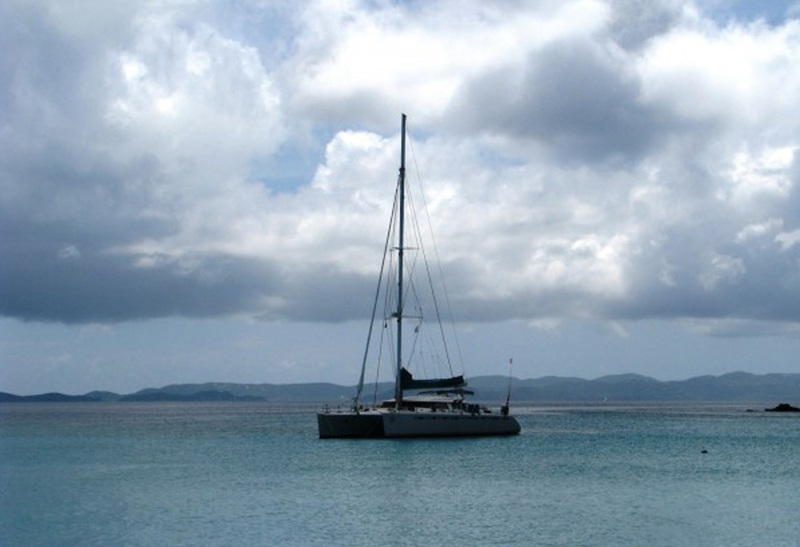 She will carry you comfortably and safely on your Ultimate Private Day Sailing experience. 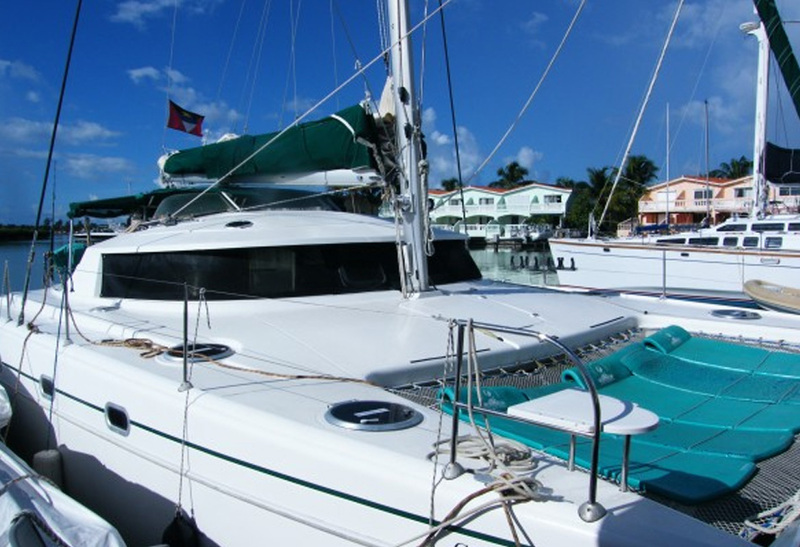 This cat is extremely comfortable and spacious, very safe for small children and offers the ideal stable and spacious sailing platform for navigating around the numerous coral reefs and beautiful bays that typically hug the coastline of Antigua. She has 4 double cabins, each with on suite bathroom, to provide our guests with private facilities for changing before and after water activities. There is also a fresh water shower on the transom. For those of you who love to soak up the sun, there is a full-width trampoline across the foredeck for comfortable relaxation while sailing. If you prefer the shade, all seating in the cockpit is covered by a large Bimini with drop down side nets for complete protection. Whilst at anchor, your lunch will be served to you on our large cockpit table. If it should happen to rain then the crew will set you up inside in their even larger internal saloon table. There is also a large Weber barbeque or a “Braai” as we call it in South Africa, unit on the transom which Capt. Wayne will grill either your delicious chicken or Lobster for lunch. 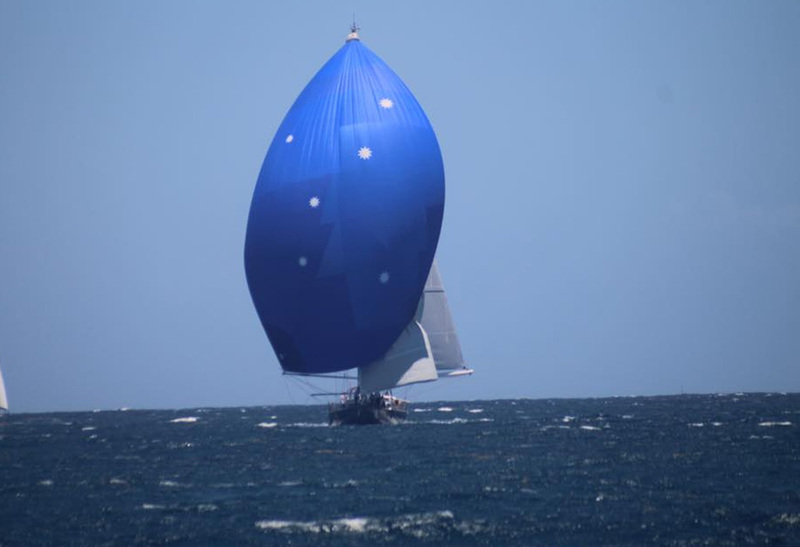 The vessel is sloop rigged with headsail roller furling, and all sail control lines are led back to the cockpit for very relaxing, stress-free and safe sailing. They even have an electric winch, which makes life a lot easier for Lara! 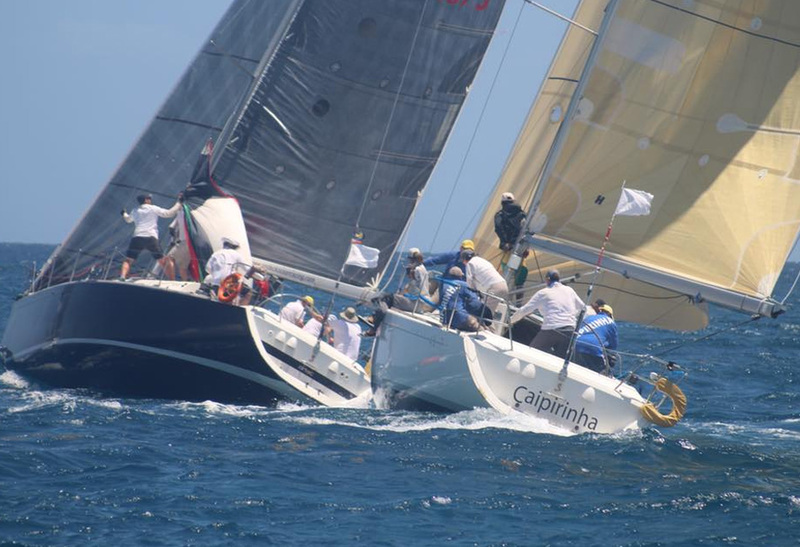 The catamaran has Twin Yanmar engines to complete the specification of this superb yacht. The crew consists of Capt. Wayne and his wife Lara. Wayne has an RYA offshore Yacht Master ticket and has done many Trans-Atlantic crossings. He is also a qualified PADI Dive Master & has an S.T.C.W 95 certificate. Wayne has been a keen sailor since the young age of 9 years old. Lara is a professional chef/hostess, culinary school Durban, South Africa & qualified Open Water Diver. She has an S.T.C.W 95 certificate and loves been creative in the kitchen! You will not go home hungry. This “Special Dinner Cruise” departs from Jolly Harbour for a Caribbean evening experience on the water sailing along the beautiful coastline of Antigua. This is a 5-star experience. The crew will pamper you as you settle in to watch a beautiful Caribbean sunset aboard. Your hosts will prepare a delicious 3-course feast! This is truly a unique experience. Fine dining at it’s best whilst onboard “Cool Cat”. Seaside Dining – Antigua Style. 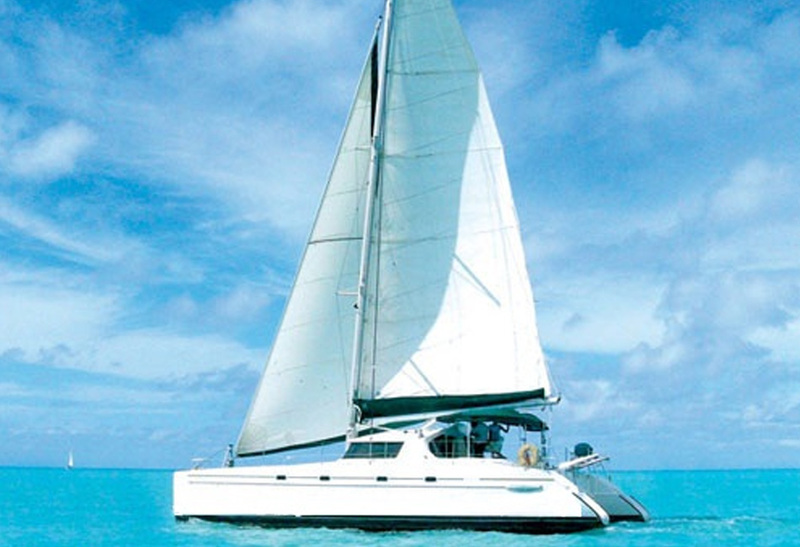 Your elegance cruise starts with a gentle sail aboard Antigua’s most luxurious catamaran. They sail to beautiful white sandy beaches and calm bays where they drop the anchor for an enjoyable relaxing snorkel or swim. Your delicious Caribbean lunch will be prepared on board when you’re ready. Once they leave the dock the sails are hoisted and so your journey begins! 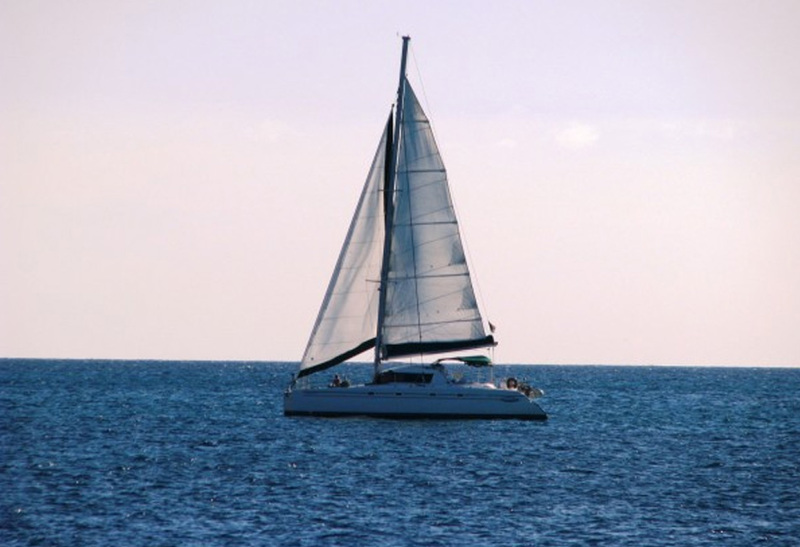 They sail to Cades Reef to sample the incredible fish and coral life. With water so clear, you would think yours in your very own swimming pool. They will show you “Tim’s wreck” a sailboat that sank a few years ago and is always a fascinating sight to see. After your freshly grilled lunch there’s plenty of time to relax, snorkel or just float around in the ocean before they set sail to one of Antigua’s 365 beaches for more snorkeling, swimming or a stroll on the beach. 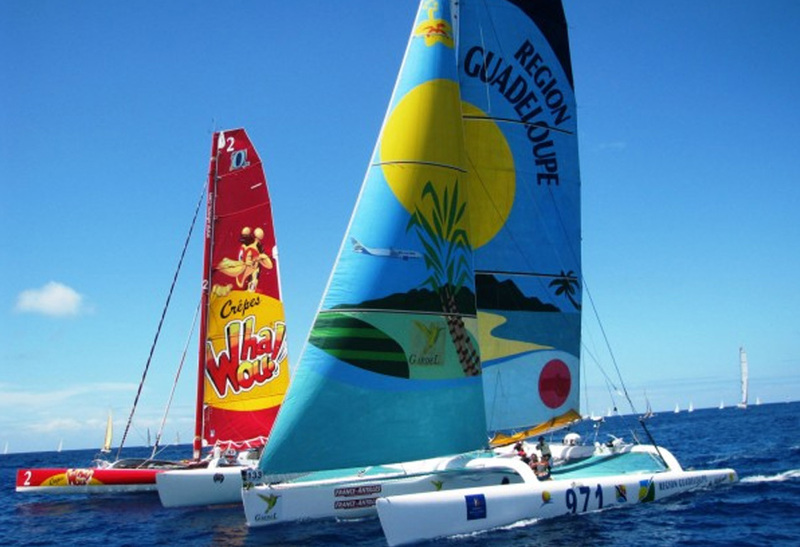 Let the catamaran glide you across the Turquoise Caribbean waters. 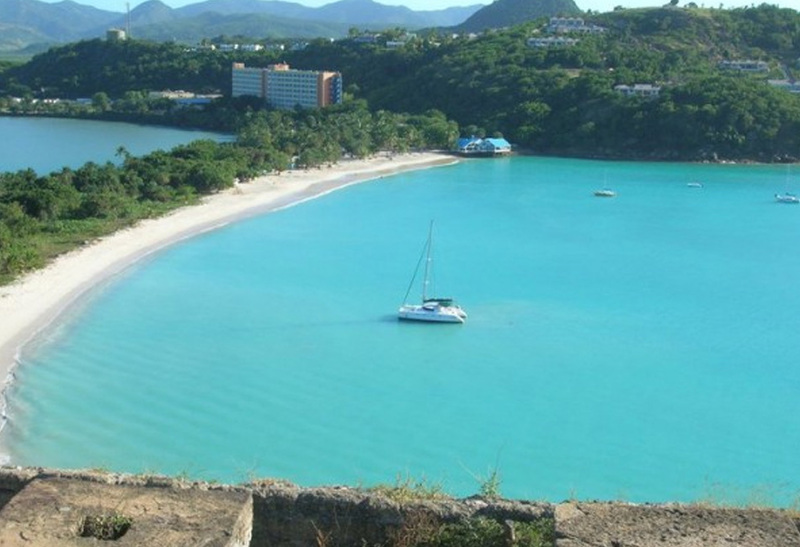 You can absorb Antigua’s natural beauty & picturesque views as they sail past many beautiful bays & lovely homes & resorts. 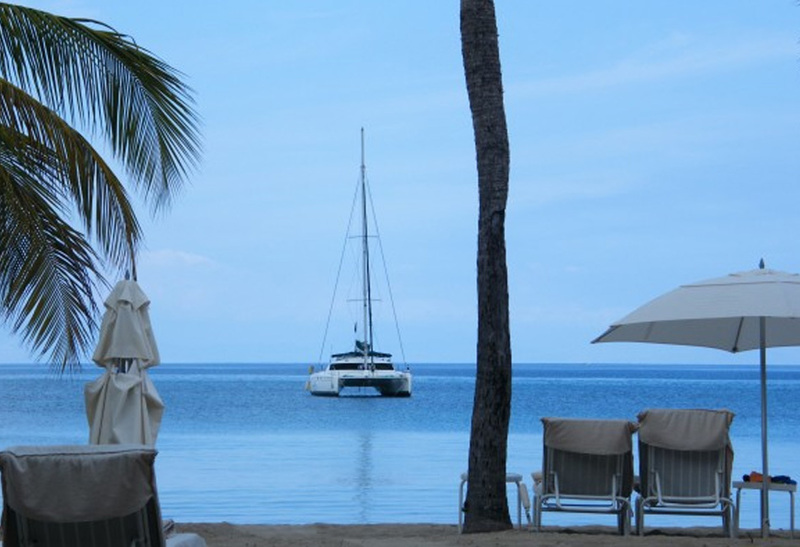 They anchor for a relaxing swim or snorkel while your hosts prepare a delicious Caribbean BBQ lunch. 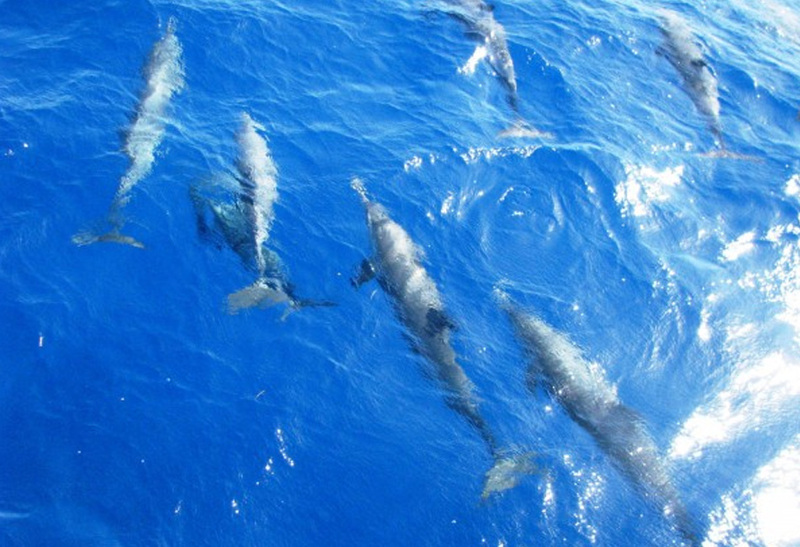 After lunch, they set sail again to the clear waters of Cades Reef where the marine life and coral are abundant. 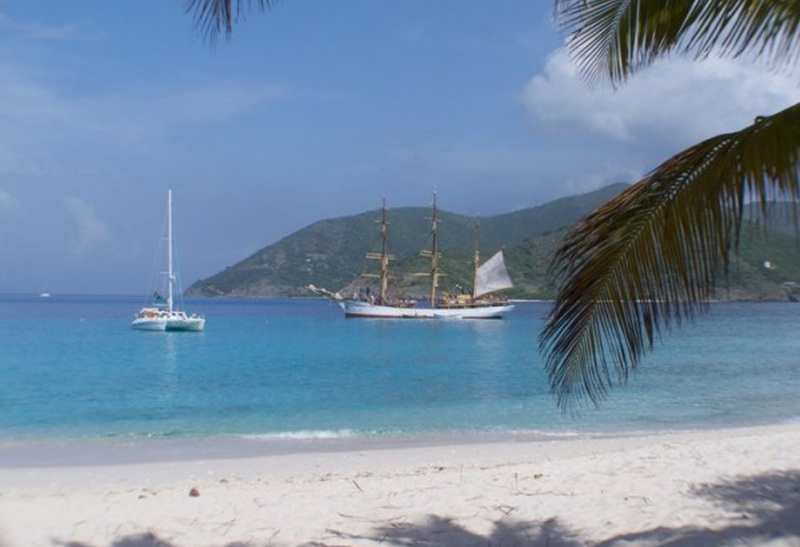 Their last stop will be at one of Antigua's 365 beaches. They sail back to Jolly harbor while you admire a spectacular sunset & listen to the sounds of water lapping up against the hull.